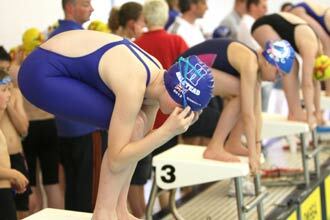 Give you the opportunity to take part in National Junior, Essex and Suffolk league swimming galas. Boys and girls from 7 years old can apply for a trial. To become a member of HSC you will need to be assessed. 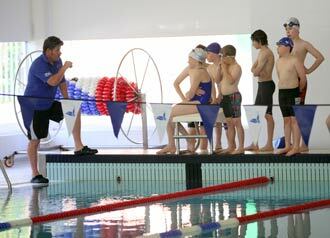 We will generally trial swimmers every 3 – 6 months depending on space. The assessment will be based on both stroke and technique; the swimmer will be expected to demonstrate 2 lengths of each stroke (1 of Butterfly). The trial will normally take place on a Friday evening between 6 and 7pm. If you would like your child to be considered for a trial and are not already on the waiting list please fill in the required information slip (displayed on the HSC notice board) and post in the box secured on the wall next to the notice board. The assessment will determine if the swimmer is competent enough to join the club and to what training squad they will join. All swimmers will be notified on the evening if their trial has been successful. If they have been unsuccessful feedback will be given. To be accepted as a new member swimmers must be prepared to attend 80% of all training sessions available to them. In addition all new members must agree to abide by all club rules. 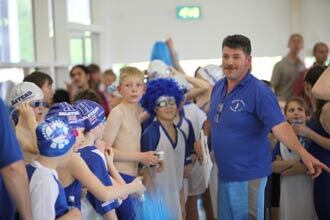 HSC is a competitive swimming club and we expect swimmers to be available when selected to represent the club. Please note: membership pack to be completed and returned after acceptance of month trial.